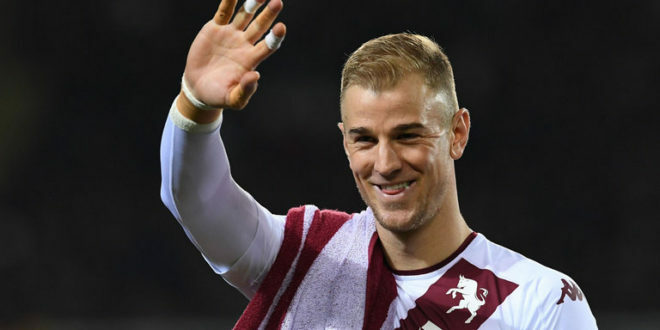 Home » News » What’s Next for Joe Hart? What’s Next for Joe Hart? A player that i’m sure will be talked about a lot over the summer is the current England number one Joe Hart. A few seasons ago Hart was considered one of the best goalkeepers in the Premier League. He won the League twice with Manchester City and won the League’s Golden Glove Award four times. 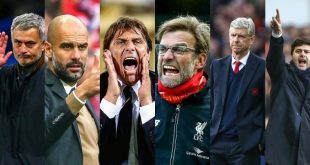 These statistics are great, but one person who doesn’t care about them is the current Manchester City Manager Pep Guardiola. As when he joined the club last year he immediately signed Hart’s replacement in Claudio Bravo (which didn’t turn out to be the best piece of business for Man City) and then he sent Hart to Italy on loan with Torino. Now a year later, Joe Hart has returned to City and Pep has signed another goalkeeper in the highly rated Ederson Moraes from Benfica. So, it’s clear that Guardiola hasn’t had a change of heart (no pun intended) on the English goalkeeper as nobody signs a goalkeeper like Ederson for £35 million to sit on the bench all season. Which begs the question, What’s next for Joe Hart? A possible destination that was talked about for Hart was Liverpool, this talk came because of the question marks about the overall ability of their current keepers Simon Mignolet and Loris Karius. Mignolet had a good run in the team towards the end of the season picking a good run of form but it’s unclear whether this is another false dawn for the Belgium or if he’s finally becoming the player the Anfield faithful thought he’d be. However, right now I’d still choose Joe Hart over Mignolet as Hart has been more consistent over a longer period where Mignolet has had some questionable performances over the past few years with Liverpool. Klopp has shot down any rumours of their interest in Joe Hart in the past, but he must have considered a player of Joe Hart’s quality. Another possible destination for Hart is Manchester City’s rivals Manchester United. This one is a little more complicated because as I said earlier in this article Man Utd have David De Gea and if he stays at the club there is no chance that Joe Hart will go there. This is because Joe Hart wants first team football and he is even less likely to get that if he moved to a Manchester United team that has probably the best keeper in the league (possibly the world) at the club. The only thing that makes this even an option is the fact that every season now it seems David De Gea is linked with Real Madrid and this could be the season it finally happens (I feel that it’s unlikely though). Another problem with this possible transfer is Joe Hart would have to move to not only a direct rival, but the Man City fans most hated rival. Joe has always seemed to love Manchester City so it seems unlikely that he’d want to anger all those fans, but the best way to stick it to Pep Guardiola would to be to win trophies with the red section of Manchester. Joe Hart has been linked with West Ham recently, which is an interesting option as this would pretty much guarantee him the first team football he desires. A lot of players would love to play for West Ham as they’re a solid Premier League club, but Hart is a two-time Premier League winner and still only thirty years old. So, he probably sees himself in a team who’s going to play in the Champions League every season and challenge for every trophy possible. However, this could be a good move for him as it will allow him to show the biggest clubs how well he can still perform in the Premier League and that furthers his chances of moving to one of those clubs in the future. If he doesn’t produce the top-level performances he has in the past though, then that could lessen his chance of ever playing for a title chasing team again. If the deal with West Ham does happen then it seems like it would be a loan deal as it’s doubtful West Ham have the funds to afford both the transfer fee and the wages it would require to bring Hart to the Hammers.